The unseeded German rallied past 2015 Slovenia Open winner Luca Vanni. No. 1 seed Sergiy Stakhovsky also advances to quarterfinals of the ATP Challenger event. The quarterfinals of the Zavarovalnica Slovenia Open are set. Dominik Köpfer knocked off No. 6 seed and 2015 Portoroz champion Luca Vanni of Italy on Centre Court in Wednesday’s night session of the €64,000 hard-court event. The World No. 263 from Germany came back from a set down, breaking his opponent’s serve five times to seal a 4-6, 6-1, 7-5 victory in two hours and 12 minutes. In his second consecutive quarterfinal on the ATP Challenger Tour Köpfer will face another Italian, as Gian Marco Moroni eased past Cem Ilkel from Turkey 6-1, 6-1. 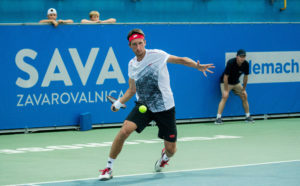 Top seed and defending champion Sergiy Stakhovsky also advanced to the stage of the final eight. 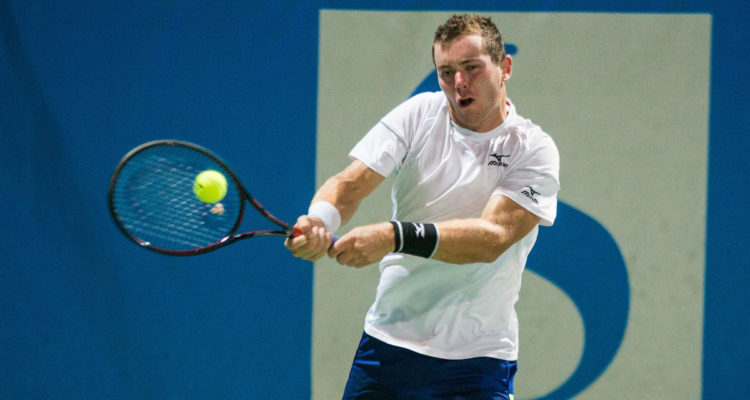 The 32-year-old from the Ukraine beat Turkish qualifier Altug Celilkbilek 7-6(2), 6-2. Stakhovsky sent down 10 aces, winning 76 per cent of his first service points to prevail in one hour and 36 minutes. The World No. 118 will next take on Constant Lestienne of France. Stakhovsky could be become the first man to repeat his triumph in Portoroz. “I haven’t realized that no one has managed to win here twice. I hope that I will be able to do,” the Kiev native said. Elsewhere, No. 3 seed Adrian Menéndez-Maceiras rallied past Lucas Miedler of Austria 4-6, 6-3, 6-3. The 32- year-old Spaniard, who finished runner-up to Ugo Humbert on home soil in Segovia last week, won 52 per cent of the total points played to prevail after two hours and 40 minutes. Next up for Menéndez-Maceiras will be fifth favourite Salvatore Caruso, who had to go the distance to edge out Swedish qualifier Markus Eriksson 4-6, 6-3, 7-5. The encounter lasted two hours and 46 minutes. No. 8 seed Andrea Arnaboldi of Italy and Aldin Setkic of Bosnia and Herzegovina will square off in the remaining quarterfinals encounter. This entry was posted in ATP Challenger Portoroz, ATP Challenger Tour and tagged ATP Challenger Tour, Dominik Köpfer, Portoroz, Sergiy Stakhovsky, Slovenia Open.